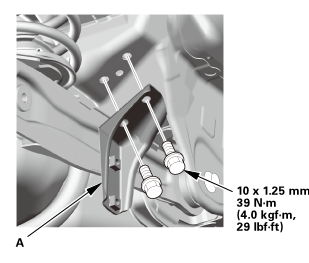 Remove the self-locking nut (A) while holding the respective joint pin (B) with a hex wrench (C). 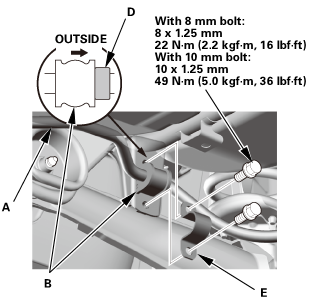 Disconnect stabilizer link (D) from the stabilizer bar (E). 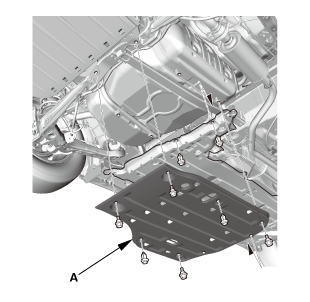 Remove the bushing holders (A). 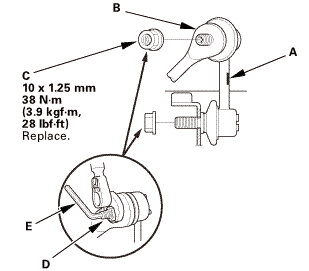 Remove the stabilizer bar (C). 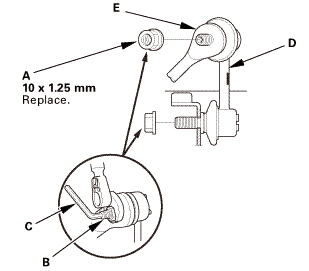 Remove the stabilizer bar bracket (A). Install the stabilizer bar bracket (A). 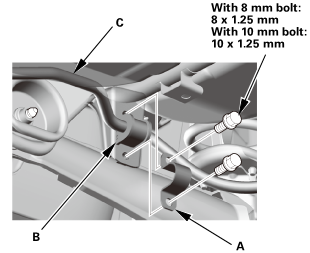 Install the stabilizer bar (A). Note the right and left direction of the stabilizer bar. 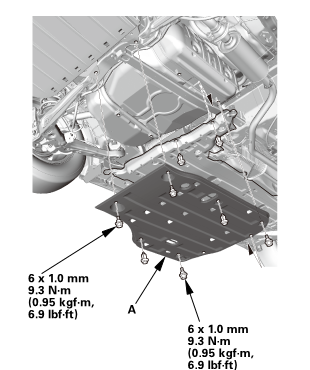 NOTE: Align the paint marks (C) or the stabilizer band clamp (D) on the stabilizer bar with the side of the bushings. Install the bushing holders (E). 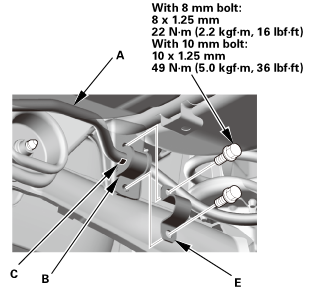 Connect both stabilizer link (A) to the stabilizer bar (B). 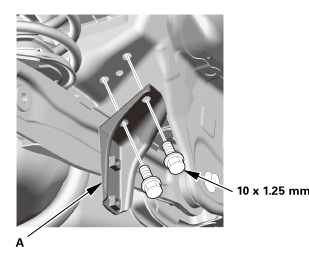 Install the new self-locking nut (C) while holding the respective joint pin (D) with a hex wrench (E).